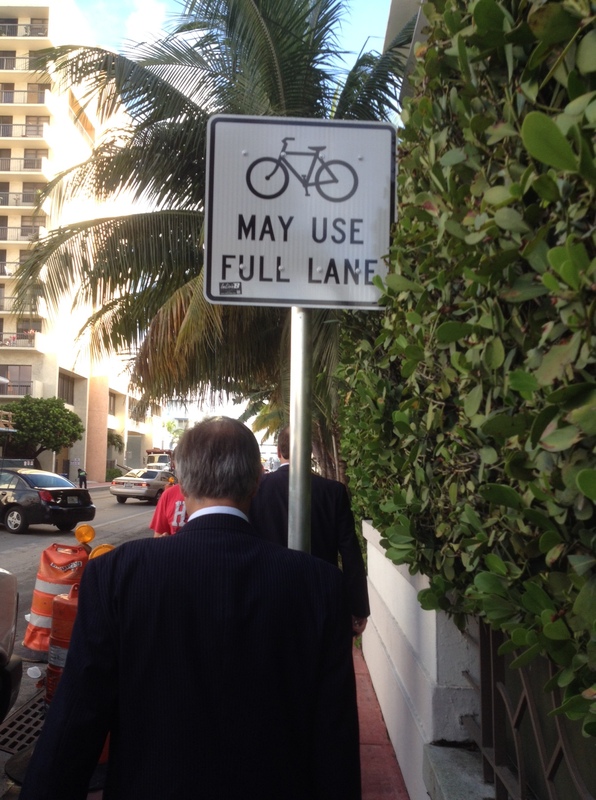 Bikes May Use Full Lane | Normative Signs: The Poetry of "Ought"
This sign in South Beach, Fla., asserts (or perhaps clarifies) what is true but little-known in at least some jurisdictions, namely that bikes are vehicles and are entitled to take up an entire lane of the road if they want to. (I’m assuming without knowing for sure that that’s the case in Florida just as it is where I live in Ontario, Canada. 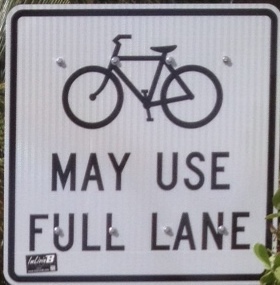 As a cyclist, I think the sign is pretty cool. But why have a sign explicitly giving permission that the law gives on streets anyway? Well, presumably precisely because it’s a little-known legal fact. The only odd thing is the placement. This sign is on a post that is…well, in the middle of the sidewalk, where it’s more likely to be seen (and hard to avoid) by pedestrians. In fact, as you can see from the final picture, given the width of the sidewalk and the placement of the sign, pedestrians literally have to step around the sign post to get by. 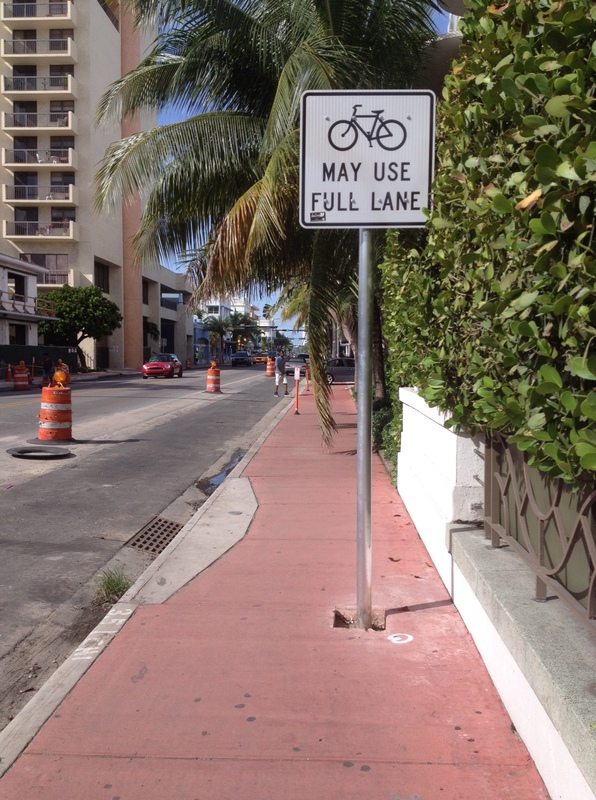 So while cyclists can use the “full lane,” apparently pedestrians can’t.